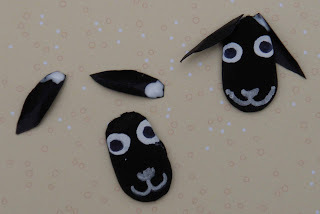 Crack of Dawn Crafts: Sweet Sheep for Spring! 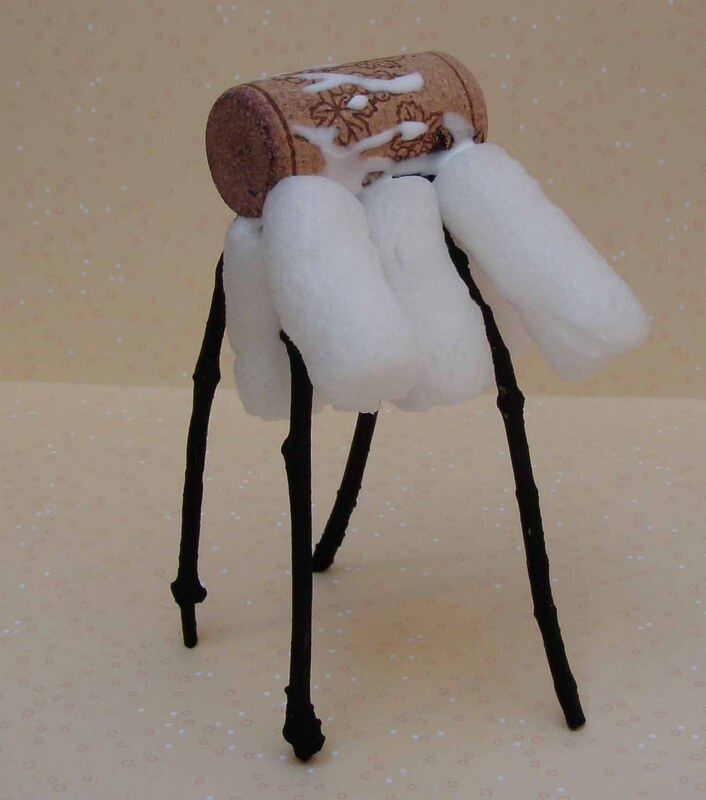 Bring recycled packing peanuts and a wine cork BAAAA...CK to life in this fun and simple little sheep craft. Perfect after a field trip to a farm or just for spring fun. 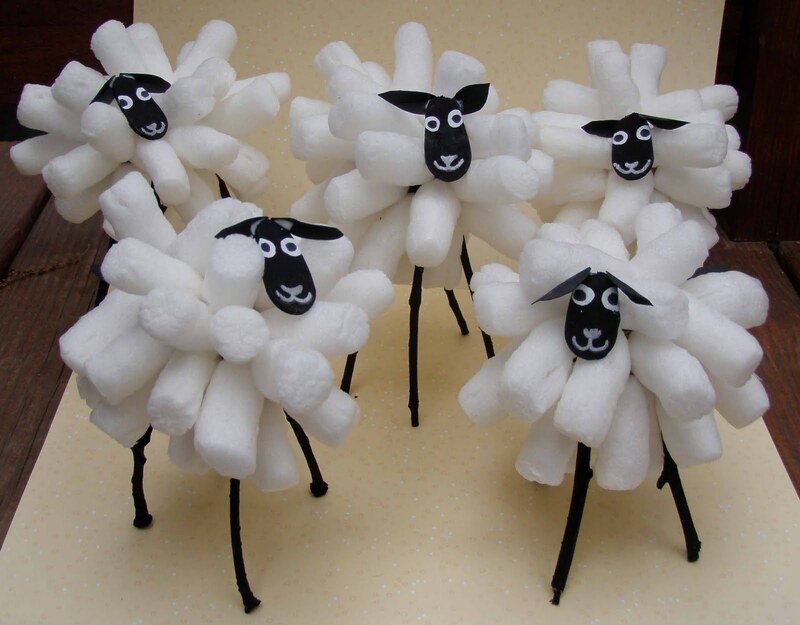 This fluffy flock can't help but spread cheer wherever they stand! 1) Find sticks for legs. Look for those knobby knees! 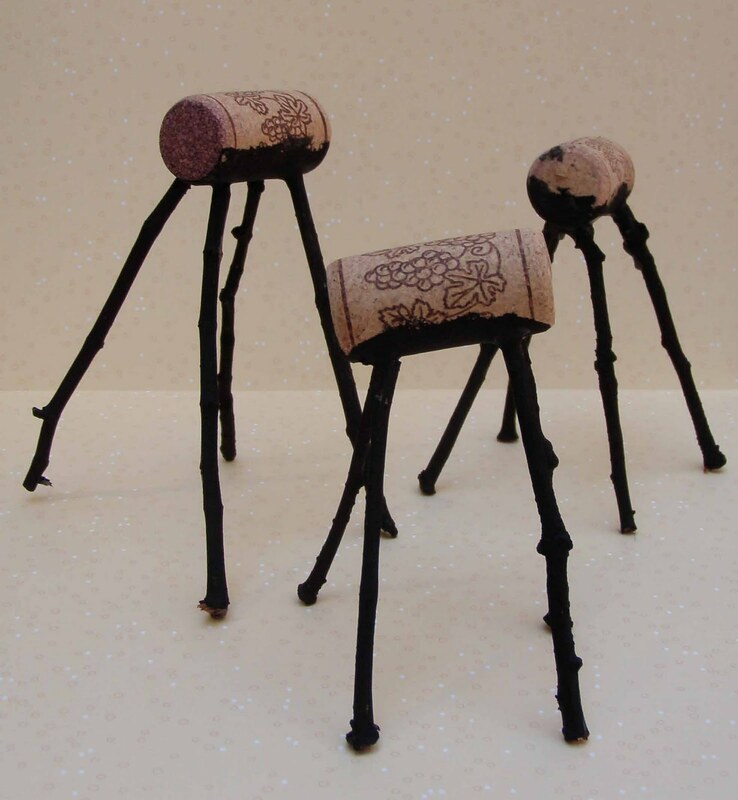 2) Use an awl (Swiss army knife) or other sharp tool to make four little holes in the cork. Put a little glue on the end of each stick and insert. Use scissors to trim legs so body is balanced on all fours. 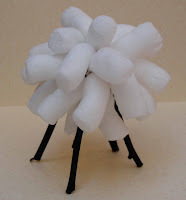 3) After glue dries, paint legs and body black. (I only painted the bottom of the cork black, but would paint the whole thing next time). 4) Spread a little glue on the cork and add packing peanuts until the cork is covered. It may help to let a few dry before adding more. I did mine on a sunny day with lots of interruptions so I could only get a few on at a time anyway! 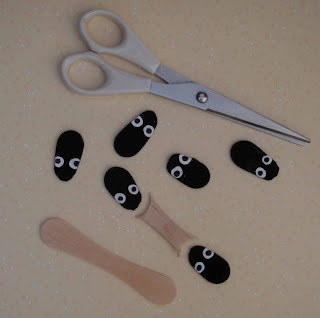 5) While the "fleece" is drying, cut the ends off of a popsicle stick, rounding them into ovals. Paint them black! When dry, use a q-tip to add the white eye dots. When that dries, use a sharpie to make pupils and a silver pen to add other features. 6) Cut out some ovals from the black paper for ears and a tail. Bend ears as you like to give them personality. Glue ears to head. 7) Glue head and tail onto sheep's body. All done! So cute, I'm going to have to make this with my daughter - she will love it! 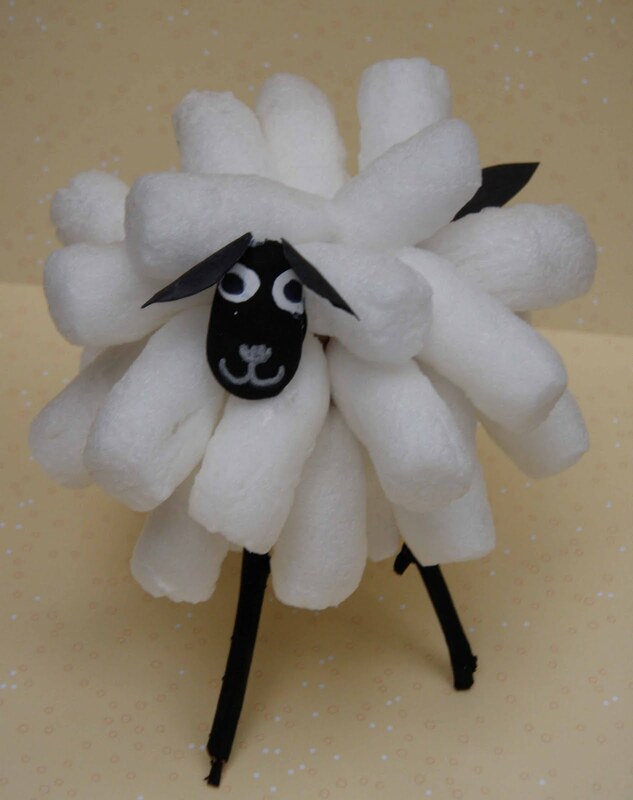 Crack of Dawn Crafts 2013. Powered by Blogger.